Prevention requires changing the culture. 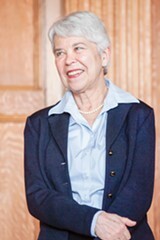 Carol Christ is the chancellor of the University of California, Berkeley. Recent events have drawn long overdue attention to the problem of sexual violence and sexual harassment ("SVSH") in our society. This is an issue to which I have been attuned for much of my career. As a faculty member in 1983, I served as the second Title IX coordinator at UC Berkeley. Now, as UC Berkeley's 11th chancellor, I have made it a priority to strengthen and increase awareness of the practices on our campus for preventing and responding to SVSH. Many women have at least one story to tell about being sexually harassed or assaulted. But SVSH is not a problem limited to women. Stories we see in the news media often involve famous people or famous universities. But SVSH can happen anywhere and to anyone. It has a deep impact on survivors, including feelings of loss of control and trust, confusion, and self-blame. SVSH is a type of oppression. It is fundamentally at odds with our society's principles of equality and fairness. And it is fundamentally at odds with the mission of a university, which is to draw on the talents of the entire community to promote creativity and intellectual growth. Students, staff, and faculty need to feel personally safe and confident in order to thrive intellectually. This is why addressing SVSH is a key priority of my administration. It is certainly a complex challenge. One lesson we have learned at UC Berkeley is that it is important to have clear and consistent response procedures when incidents of SVSH occur. Those grappling with negative experiences and considering reporting them need access to a reporting process that is clear and responsive. It is important to hold those who perpetrate harassment and violence responsible for their actions. The adjudication process needs to be reliable and transparent. We, and the University of California more broadly, have made significant progress in this regard in recent years, though there is more work to be done. Let me emphasize that our efforts in this area will not be daunted by recent federal rollbacks of guidance around Title IX enforcement. Equally important is providing confidential campus resources for survivors of SVSH so that they can obtain advice and support without the pressure that reporting can bring. We have learned that survivors respond in different ways and need time, space, and support during the process. UC Berkeley now has several offices where survivors can go at any time, immediately or long after an incident. Trained confidential advocates work with them and explain their options with care. Many survivors go on to report their experiences to campus authorities or to law enforcement; many do not. It is their right to have this choice and to be supported regardless of the decision they make. The most deeply important component of the complex challenge of addressing SVSH is prevention. While it is important to respond robustly to SVSH when it occurs, and to support survivors and their communities, our ultimate goal is to change the culture to one in which SVSH does not happen in the first place. This requires a comprehensive effort across the campus. Preventing SVSH means providing educational training to the entire campus community on what sexual harassment and sexual violence are. It involves training the community on bystander intervention, so that poor behavior is not tolerated. We provide mandatory in-person and online prevention education for all new students. Faculty and staff also participate in mandatory training sessions, with additional training for administrators. We have found that the most effective training is in-person and tailored to the needs of particular groups, such as academic departments or student organizations. I am particularly proud of our committed student peer trainers, who organize SVSH education sessions for groups on campus. Student activists have played a key role in increasing awareness of this important issue. Preventing SVSH involves changing social norms. It requires making the community aware of what is and what is not acceptable. With information and awareness comes the power to transform. Changing social norms is difficult and can take time. But recent national events indicate a sea change in what our society is broadly willing to tolerate. Our campus should be one of the leaders of this change. It's time to acknowledge our collective trauma — and then take action. It's time to dismantle the old-boys' networks that protect perpetrators and leave women vulnerable. Important next steps after #MeToo. Brave voices are nothing new, but now we're finally hearing them. From a young age, we internalize harmful perceptions of ourselves — and the world.